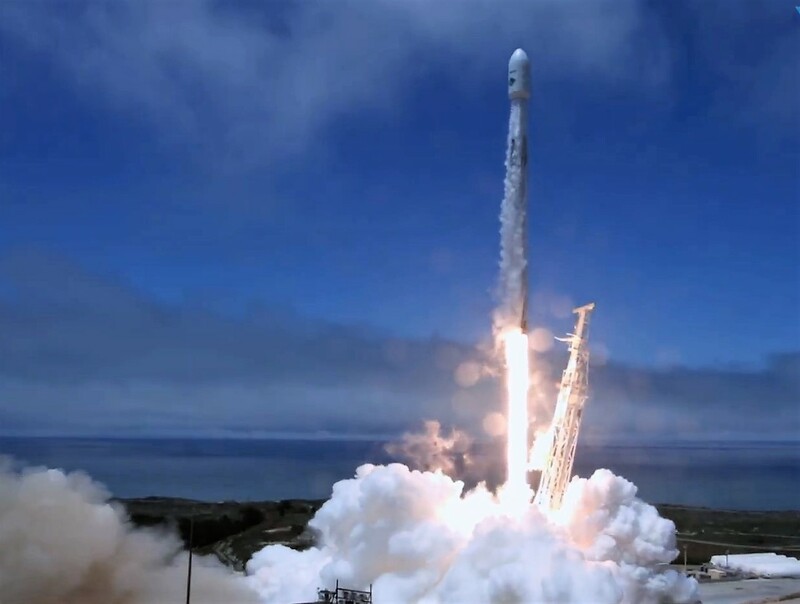 A refurbished SpaceX’s Falcon 9 rocket sent two gravity-mapping satellites and five satellites for Iridium’s next-generation telecommunications network into orbit today on its second go-round. The soot-smudged first-stage booster previously flew in January to launch Zuma — a secret national security satellite project that apparently went awry after ascent due to a problem with a payload adapter that was provided by Northrop Grumman, the satellite’s manufacturer. No such problem arose with the booster, back then or today. The rocket rose from Vandenberg Air Force Base in California at 12:47 p.m. PT after a problem-free countdown. This entry was posted in GeekWire and tagged Falcon 9, GRACE-FO, Iridium, NASA, Space, SpaceX. Bookmark the permalink.